PlayStation 4 owners that are finding their 500 GB internal hard drive supplied with the PS4 out-of-the-box a little small for their gaming needs. Might be interested in a new storage device created by Nyko called the PS4 Nyko Data Bank that has been specifically designed to make it easy to upgrade your PS4’s hard drive. 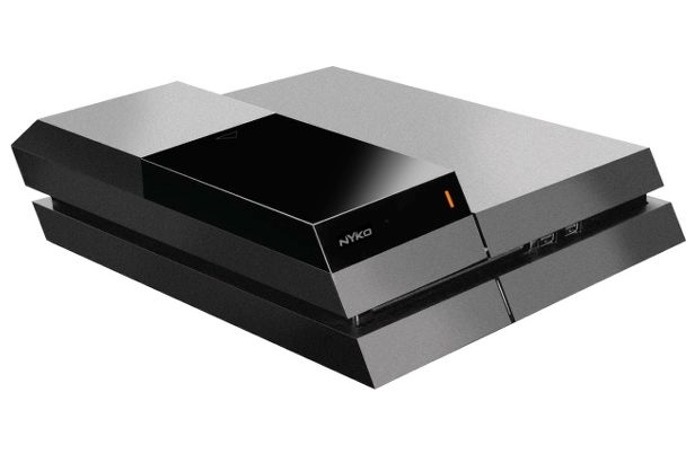 Nyko has designed the new storage to replace the top section of your PS4 as well as replacing the PS4 2.5 inch hard drive, allowing users to install relatively cheap 3.5 inch hard drives and expanding the on-board storage to higher capacities. If you are not so sure about upgrade your PS4’s hard drive by replacing the 2.5 inch PS4 hard drive, other solutions are available to add up to 6 TB of storage to your PlayStation 4 without affecting performance. Check out the video below to learn how easy it is to complete and also see the implications on performance which seemed to be very negligible.